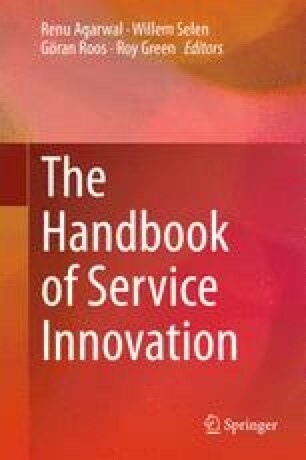 This chapter discusses the role of the emergent technology Web 3.0 (Semantic Web) in service innovation, addressing technological-options dimension of the den Hertog (2000) service innovation model, and technology as vector of influence of the Nayar-Lanvin innovation framework (2013). Semantic Web is a new technology, still emerging, and has wide innovation impacts in domains like health care, research, marketing, and IT itself. It is a major step forward in Web evolution and is already finding application in consumer technology such as mobile phones (Siri in iPhones, for example), and not just in esoteric research. Web 3.0 could also help develop geographic variations in the nature of innovation. At the core, Semantic Web is a means to improve interoperability between systems, applications, and data sources. Emerging personal computing paradigms such as ubiquitous and mobile computing will benefit from better interoperability, as interoperability is an enabler of higher degree of automation of tasks that would otherwise require end-user intervention.